It’s hot and it should be snowing. When it’s this hot all I can think about is new sandals, swimsuits and sundress. But it’s Denver so another foot of snow is bound to drop… and better! I still have 2 months left of skiing and quite a few trips planned. So I am curving shopaholic cravings with some slip on sneakers, practical for warmer Colorado days and my upcoming beach trip in Apri. 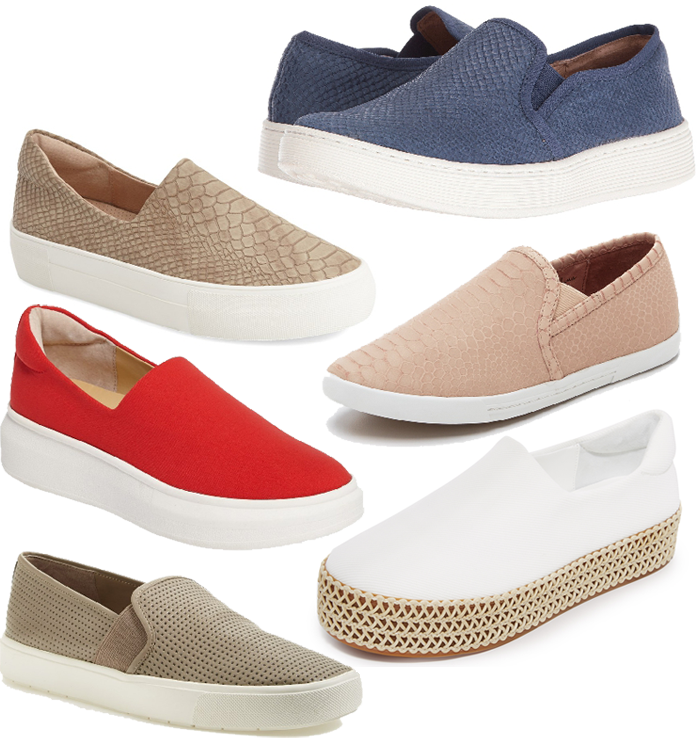 I love the new espadrille look like these, these tan ones from JSLIDES and I am kinda digging the red Sam Edelman’s. Any recommendations for the most comfortable pair?